Celebrate the life of a departed friend or family member with an exuberant and patriotic bouquet of red, white and blue flowers. 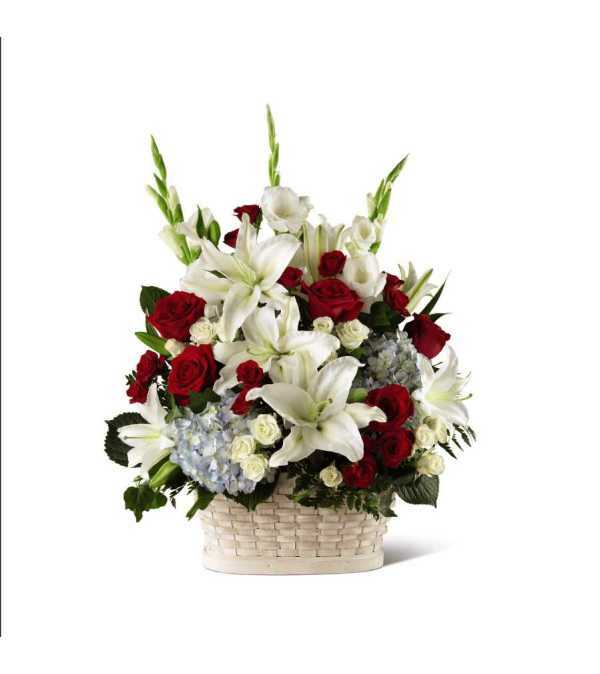 Comforting memories of a life lived in service to the country are bought to mind with red and white roses, white gladioli and Oriental lilies, and blue hydrangeas beautifully arranged in a simply lovely white woodchip basket. Perfect for floor or tabletop display at a wake, for an altar or in a sanctuary at the funeral or to send to the home of grieving family and friends. I ordered premium which should have delivered 3 roses and they send 2 roses. 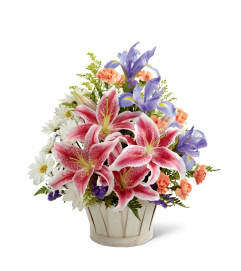 I usually go buy flower in person and never bought flowers online and had it delivered. Ann's flower shop was not my 1st choice. I went with the 4 and a half stars review...well turned out they don't deliver on 14th Feb which is today and they charge a fee for delivery. I then saw Ann's which is 3 star...but they got it delivered today and its a free delivery. Flowers lookes beautiful. I will surely buy flowers from them again. Five stars from me.Thanx Ann. Fast and reliable service. Support local business. Would highly recommend. 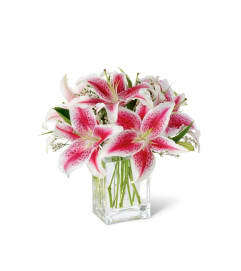 Ann's Flowers is a Lovingly Florist in Markham. Buying local matters. Discover how Lovingly supports local florists. Copyrighted images herein are used with permission by Ann's Flowers.